The word 'legitimacy' is seldom far from the lips of practitioners of international affairs. The legitimacy of recent events - such as the wars in Kosovo and Iraq, the post-September 11 war on terror, and instances of humanitarian intervention - have been endlessly debated by publics around the globe. And yet the academic discipline of IR has largely neglected this concept. 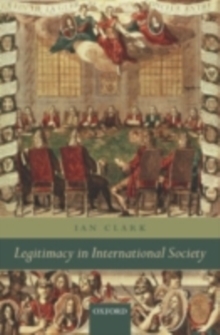 This book encourages us to take legitimacy seriously, both as a facet of internationalbehaviour with practical consequences, and as a theoretical concept necessary for understanding that behaviour. 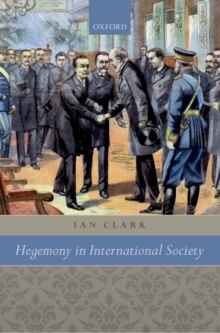 It offers a comprehensive historical and theoretical account of international legitimacy. 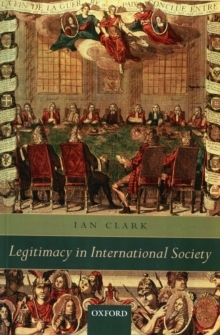 It argues that the development of principles of legitimacy lie at the heart of what is meant by aninternational society, and in so doing fills a notable void in English school accounts of the subject. 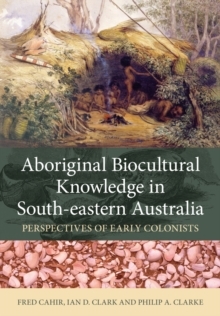 Part I provides a historical survey of the evolution of the practice of legitimacy from the 'age of discovery' at the end of the 15th century. It explores how issues of legitimacy were interwoven with the great peace settlements of modern history - in 1648, 1713, 1815, 1919, and 1945. It offers a revisionist reading of the significance of Westphalia - not as the origin of a modern doctrine of sovereignty - but as a seminal stage in the development of an international society based on sharedprinciples of legitimacy. All of the historical chapters demonstrate how the twin dimensions of legitimacy - principles of rightful membership and of rightful conduct - have been thought about and developed in differing contexts. Part II then provides a trenchant analysis of legitimacy in contemporary international society. Deploying a number of short case studies, drawn mainly from the wars against Iraq in 1991 and 2003, and the Kosovo war of 1999, it sets out a theoretical account of the relationship between legitimacy, on the one hand, and consensus, norms, and equilibrium, on the other. This is the most sustained attempt to make sense of legitimacy in an IR context. Its conclusion, in the end, is that legitimacy matters, but in a complex way. Legitimacy is not to be discovered simply by straightforward application of other norms, such as legality and morality. Instead, legitimacy is an inherently political condition. What determines its attainability or not is as much the general political condition of international society at any one moment, as the conformity of its specificactions to set normative principles.